Long known for luxury and speed, Maserati now also stands for “massive recall.” A problem with floor mats getting in the way of the gas pedal could result in sudden acceleration – which means trouble for a car that goes from 0 to 60 in 4.2 seconds. The recall affects the Quattroporte – an elegant way to say “four doors” in Italian – and the Ghibli models built from 2014 to 2016. The recall notice explains that “the driver-side floor mat anchor may break, allowing the floor mat to move and get trapped between the accelerator pedal and the vehicle carpet.” For cars that are known to reach speeds of over 150 mph (241 kilometers per hour), it is easy to see how this could be a problem. The recall will go into effect on April 29th. Maserati will replace the drive-side floor mat and possibly the accelerator cover free of charge. Maserati said that it opened an investigation into the floor mat issue last year, when four instances of stuck gas pedals were reported, according to USA Today. Each time, the brake-override feature was used and no injuries were reported. This may not be the first time Four Doors – sorry – Quattroporte owners have had to bring their cars in for a recall. 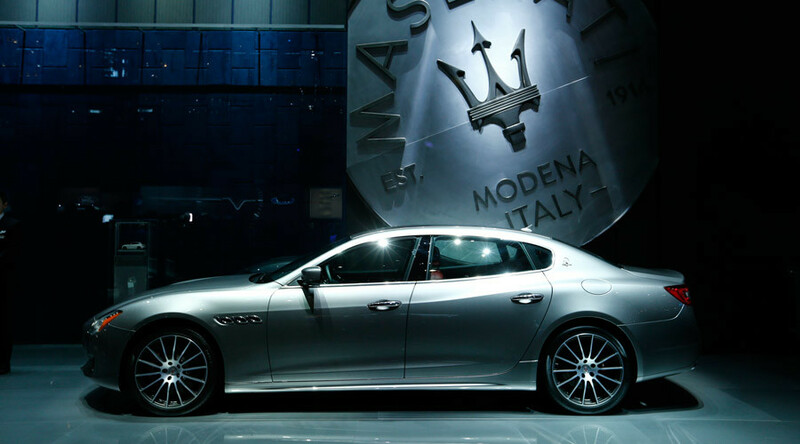 In October 2015, Maserati recalled 984 Quattroporte vehicles after it was discovered that the 2014 model had a fire risk as a result of the car’s faulty fuel delivery hoses. Established in Bologna in 1914, Maserati is now headquartered in Modena, and owned by the international conglomerate Fiat Chrysler.